This program has been in the planning phase for a while now and Klemme’s programming has been building to this for 5 years. Young people have been learning about the needs and assets of Iron County through fair board surveys, Iron County promotional materials, Youth First Impressions Exchanges and Wisconsin Design Team visits. Each of these experiences has increased their understanding of their communities and prepared them for these roles. 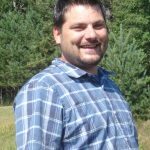 Klemme added, “More im portantly they have provided opportunities for the youth to be viewed as a resource and as valuable pieces to this community, their opinions have been heard and considered while decisions have been made.” This has paved the way for a youth in governance program. A special thanks to the board for agreeing to provide this incredible leadership opportunity for our county youth. This would also not be possible if no high school students stepped up to take on these roles, so it is important to recognize the 6 youth who have applied for these positions. From Mercer, Billie Botes, Molly Hohner, and Haley Allen-Rodriquez and from Hurley, Dayne Stuhr, Aiyana Nickel, and Tabitha Morello. 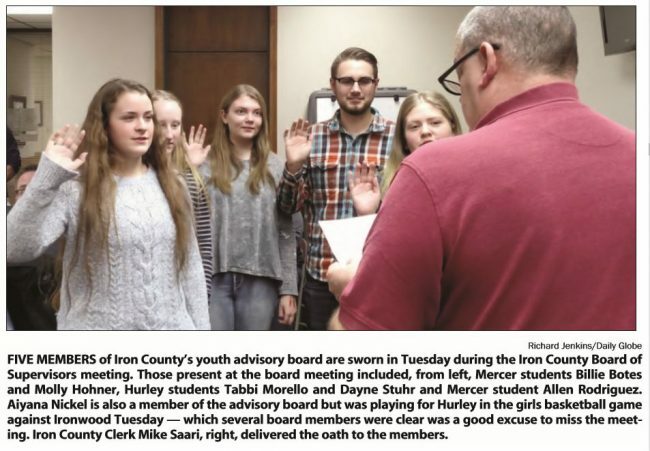 These six young people will be the first members of the Iron County Youth Leadership Council.